Of all the things I love about our house, its curb appeal is not one of them. The perfect location, a stunning backyard and ready-to-finish basement were all major selling points when we bought our home almost a year ago (! ), but we've never been wild about how looks from the street. That's mainly due to two enormous pine trees that take up our whole front "yard," so until we can pay to have those two behemoths taken down, we've got to work on improving our home's curb appeal in other ways. One easy way to boost curb appeal is by adding shutters to the windows. It's something I'd been wanting to do for a while now, and two weeks ago we finally broke down and ordered some shutters! Eric took precise measurements of all the windows, then we took those measurements to Home Depot and ordered Builder's Edge Louvered Shutters in Tuxedo Gray. We chose gray because obviously I'm a fan, and it's a great, neutral color that will look nice with our bright, yellow front door. The shutters arrived on Tuesday, but we waited 'til the weekend to hang them. When I came back from my long training run on Sunday morning (my last one -- the half-marathon is already this Saturday! ), Eric was already installing them! I told him to wait until I could help him, but apparently they were a snap to hang. A drill, ladder and hammer were all he needed! But, wait - did you notice? On our picture window, we only have one shutter! Before ordering our shutters, we realized we were working with some rather awkward space. 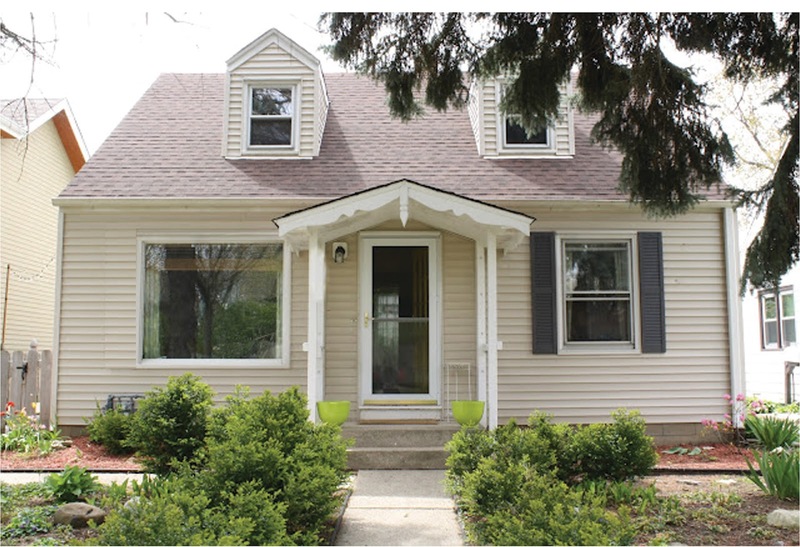 The little awning/porch roof out front reaches out to the right frame of the picture window, and there's just no working around that. When we ordered the shutters, we thought "Hey, maybe it won't look too out-of-balance to have one longer shutter on one side, and a shorter one on the other." Ummm.... it definitely looked completely out of balance. So, we decided to just put one up to see how it looks with just one side shuttered. Ehhhh..... a little weird. But is it completely noticeable when you first glance? Would it look better with just the smaller, right-side window shuttered, and the picture window with no shutters at all? We can't make up our minds. Part of me hates to remove the longer shutter on the picture window, but I also realize it may look a little goofy with just one up there. The rest of the windows look beautiful all spiffed up in their new Tuxedo-Gray shutters! I really love how the shutters give the house a little more of a put-together, classic Cape-Cod look. But I'm just so stuck on that one big picture window. So, I need your advice, folks: Should we keep up the long shutter on the picture window or remove it and leave the picture window completely bare? Is it super noticeable and just totally off balance with just one? on the left side? Leave a comment and let me know which you think would look better! UPDATE: Thanks to my wonderful co-worked and Photoshop wizard, here is a "with" vs. "without" image of the shutters. This should help give you an idea of how it would look with just one window shuttered out front! Today marks exactly 13 months until our wedding! Yes, yes - I know... that's still a loooong time before the big day. But the last four months have flown by and I'm sure before I know it the wedding will be two weeks away and I'll be curled up in a corner somewhere freaking out because I still have so much to do. Such is the experience of a DIY bride. Or so I've been warned. Behind the scenes, Eric and I are chipping away at booking our vendors and making good progress. But, as a visual girl (and one who realizes how much work is ahead of her), I wanted to get cracking on something more tangible for the wedding. But something I knew I wouldn't change my mind on in the next year. One of the first details I knew I wanted was to provide each guest a cute little flag at the ceremony to wave after Eric and I are pronounced husband and wife as we walk down the aisle. 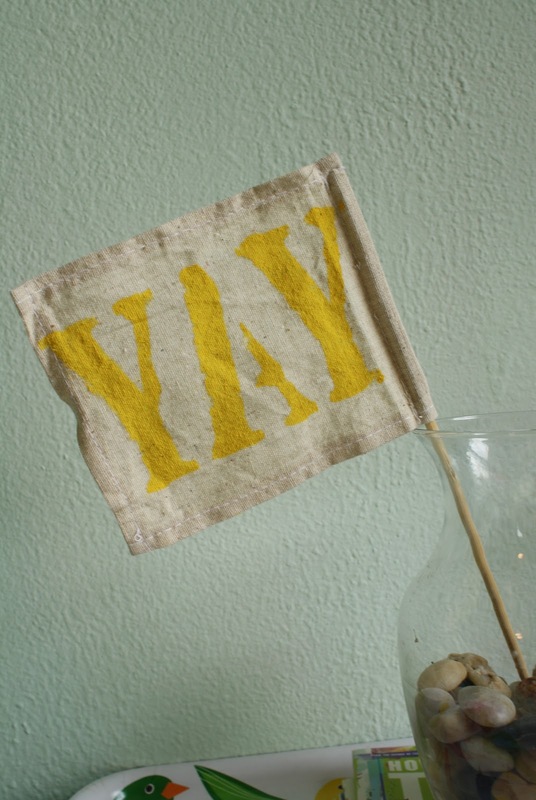 I'd seen the idea for "YAY" flags online and thought it was so sweet and fun - a definite must for the ceremony! In all my excitement, I purchased the materials back in the beginning of March. I contemplated sewing and assembling the flags myself, but when I crunched the numbers and thought about the actual work time I'd put in to them, I decided to buy pre-made flags. 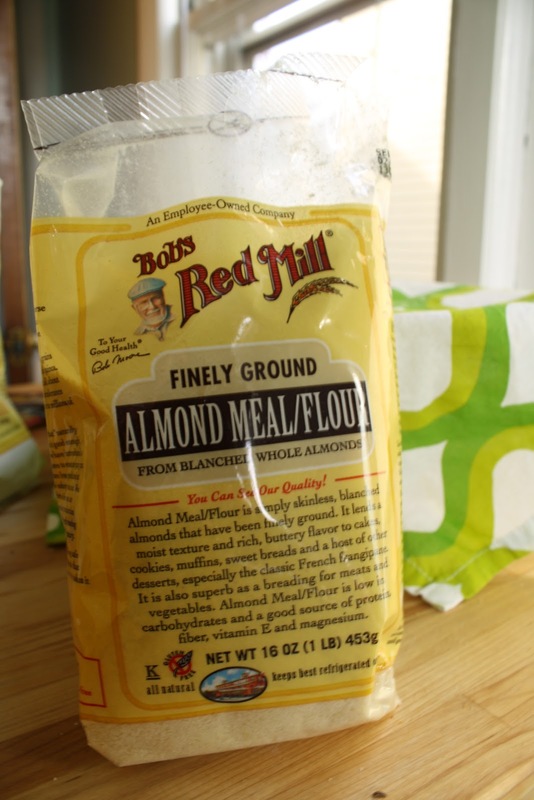 Luckily, the Oriental Trading Company had the exact-size blank flags I was looking for for super cheap. And for the "YAY," I decided to use a custom-made plastic stencil I ordered for about $5 at JustStencils.com. YAY, indeed. Except, when I put the stencil on top of the flag, it was about half an inch wide on both sides. I was a little miffed, because I customized the stencil online so it would fit the canvas flag perfectly, but it came to me just a bit bigger than I would've liked. So, I took matters into my own hands and did a little.... editing. Meet my ultra-jacked-up, but perfectly sized stencil.... held together by painters tape. You know me - only the classiest, folks. I started off with yellow acrylic paint, stenciling it on with a thin foam brush. After about 15 YAY flags were painted, I realized I wanted a little variety in these flags. I didn't necessarily want to make another word (I wasn't entirely sure I could fit another word on the flags besides simple, three-letter YAY), so I decided on something a little more graphic: A big ol' heart stamp! I went to Michael's in search of a large heart stamp, but couldn't find anything remotely right at three different locations. Again, I took matters into my own hands and decided to create my own heart stamp. 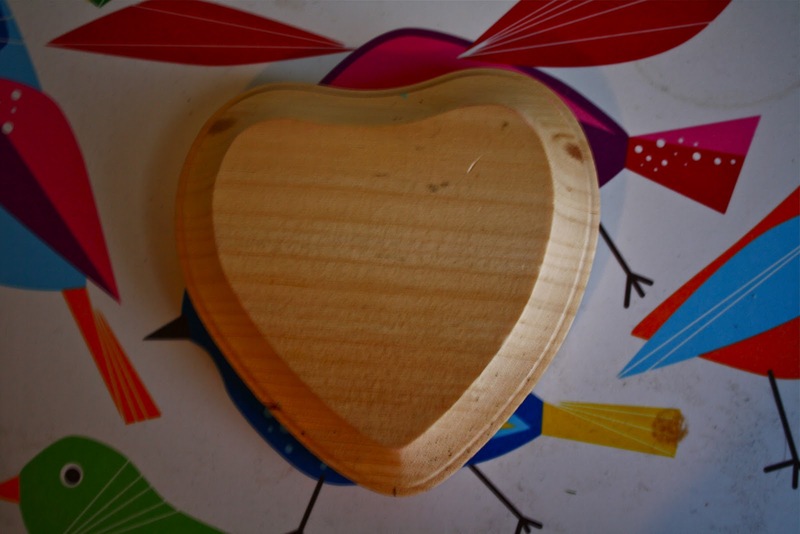 I purchased a 69-cent wooden heart block for the stamp base. Then bought a sheet of red foam for something like 30 cents and cut out a big heart from it. I glued it all together with super tacky craft glue. It made for the perfect-size stamp. 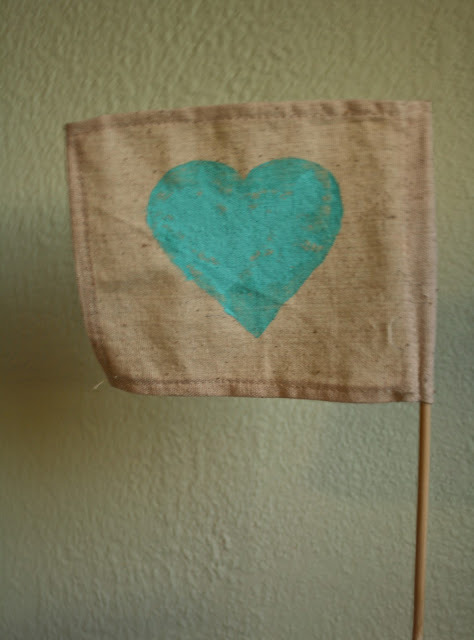 To make things a bit less sloppy, I painted the paint onto the stamp with a foam brush for a light coating (I used both pink and turquoise) and pressed the stamp onto the canvas flags - the stamp gives the hearts a nice, rustic, not-perfectly-painted look... which is just what I was going for. I love the yellow, pink and turquoise colors together! Right away, guests should catch the vibe that this is a fun, relaxed, not-at-all stuffy affair. 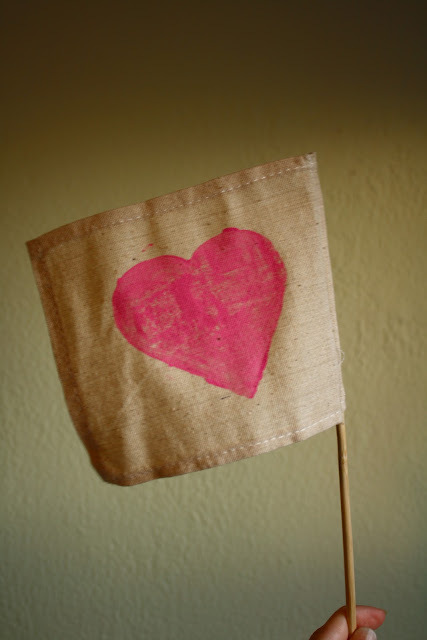 I'm only about 1/3 of the way through making these flags, but I'm thinking I'll make 2/3 of them the YAY flags, with the other third as hearts. I'll probably change up my next 15 YAY flags with a different color, as well. I can't wait to see them in action! Hopefully it will make a great photo op, with everyone waving their flags as we walk down the aisle as husband and wife. 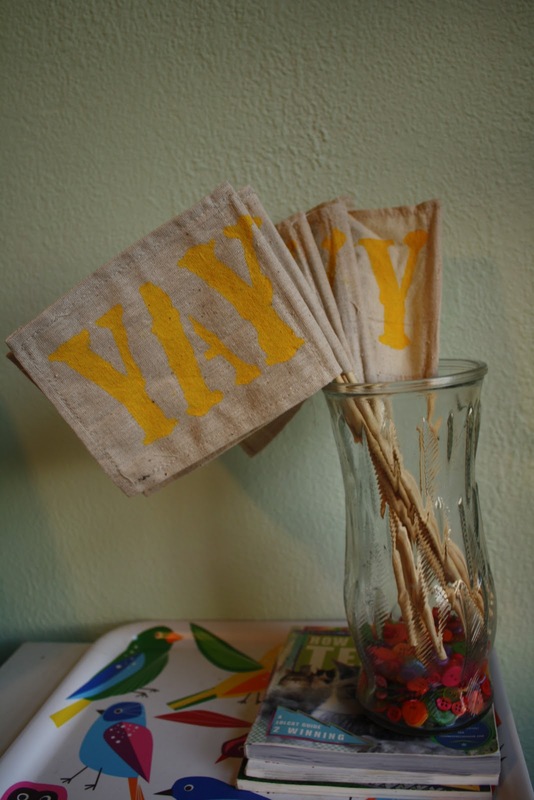 Or, at the very least, I just hope our guests will actually wave their flags to begin with! P.S. Did you catch how I used one of the pink hearts to dress up the new shelf in our guest room? Who says wedding decorations can only be used for the event itself? !